So here’s the story. China is now flooded with what is believed to be cases for the next iPhone that features a thinner body with teardrop design. Why? Cos one of the prototype for the next iPhone has gone missing from Foxconn’s factory in Shenzhen, China. 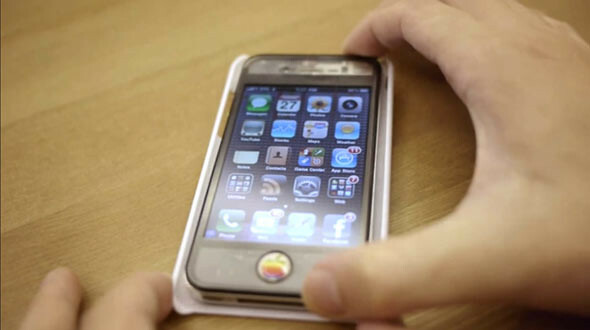 The prototype was believed to be in a case to make it look like the current device. It was actually a test model with the finalised iPhone 5 teardrop body with iPhone 4 internals. With its past experience, one might think Apple would have been able to track that prototype down in a heartbeat. However, Apple was outsmarted. The person who had access to the prototype wiped the phone’s software, thus disabling the GPS hardware needed to track it down. It was then allegedly sold to one of the iPhone case manufacturers for RMB ¥20,000 (about $3,100). We were told that Foxconn was aware of the loss and had penalized internal management for the incident. We also heard from another source that the person who “lost” it was paid to do so. This case is similar to the iPad 2 leak reported back in June, where three men were jailed for stealing unreleased information about the Apple tablet. So now we basically can imagine how the next iPhone will be by the looks of these casings. They even made a very very very descriptive video to show off the casings and comparing it with iPhone 4 and iPod Touch. The shape of the next iPhone seems to be confirmed, or else the casing manufacturers will never spend thousands of RMB to mold casings for an uncertain device. Check out the video below and let’s get ready for the announcement next week! One Response to "iPhone 5 Cases Hint That The Next iPhone Is 33% Thinner, Thanks Foxconn For Losing A Prototype"